For Honor Declining Player Count Is "Fake News" | Nerd Much? In a recent stream hosted by community developer Eric Pope, Pope was quick to defend For Honor and the steadily declining numbers in news media that followed the game’s launch. Instead of pointing out any inherent flaw in our numbers, Pope accuses the media of reporting “fake news.” He goes on to say that there is even a patch coming out today and there are plenty of players that will be happy to receive it. Let’s unpack this one step at a time. 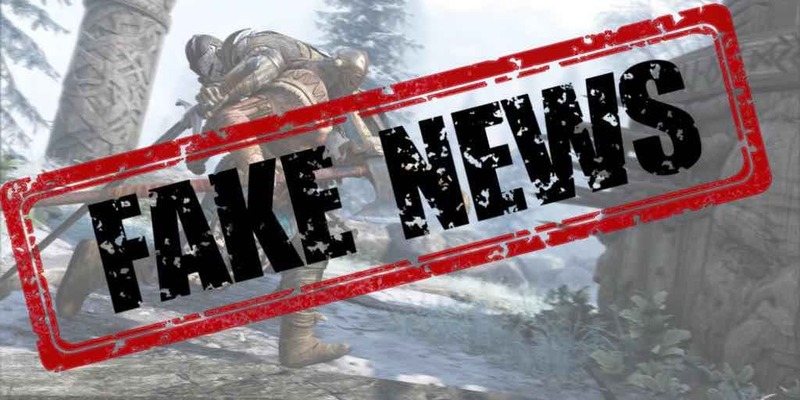 Pope could be confusing clickbait with “fake news.” A lot of gaming news sites are prone to the clickbait material, especially when trying to sensationalize headlines despite somewhat boring news underneath. Honestly, clickbait is as old as journalism is and it doesn’t always mean the news is fake. There is an enormous difference between propaganda and clickbait. That said, the numbers for For Honor that the media has been reporting on are numbers from third party sites, or numbers from Valve themselves, which only includes Steam players (not consoles or UPlay members). This information should always be sourced and stated in the report, if they are not please make sure to leave a comment or contact the site’s editor to let them know. As far as the reported numbers go, the player pool for For Honor has been going down at an unfortunately steady pace due to problems with gameplay and some of the inherent structures of the game. In addition, it’s not very friendly to those who are not used to fighter games in general or prefer a longer learning curve. If only Pope has worded his defence a little differently, then perhaps we could take him seriously. If he had only mentioned that most reported numbers do not include console players, or that third party site numbers are not always the most accurate. “Fake news” is such a hot button and controversial term, people should be more careful when they use it.